If you've been here long, you've probably probably realized my love for natural things. If it's earthy, chances are I'll be drawn to it. 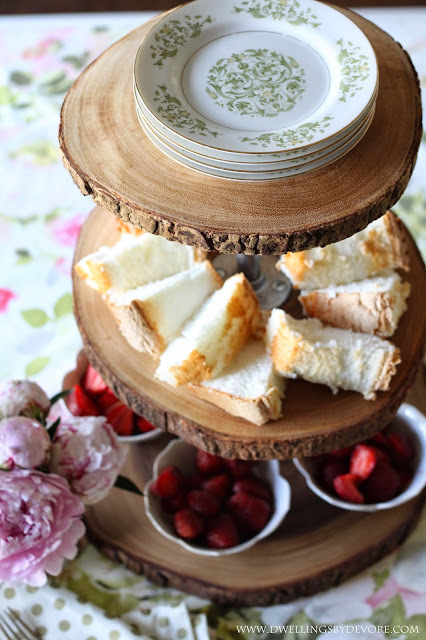 I also really love versatile serving pieces so I combined my love for those two things to create this rustic 3 tiered serving tray for Ehow. You can find the tutorial here.